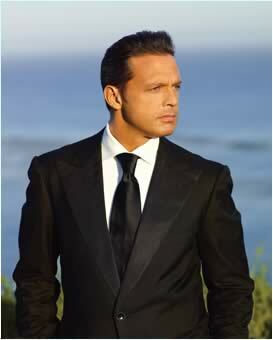 SANTIAGO – Mexican singer Luis Miguel will return to Chile for the 2012 Viña del Mar International Song Festival after 18 years away, organizers of the event said Saturday. “It’s a fact now because the contract has been signed,” the host city’s mayor, Virginia Reginato, told reporters, adding that the famous Mexican artist “was very much sought after, very much wanted” for the contest that is held every year in the month of February. Meanwhile Pablo Morales, general director of the Viña del Mar Festival, said that the artist will received close to $1 million for his performance, and that an appearance by British singer Elton John is also being negotiated. He said the Briton would be paid some $750,000 for his appearance at the festival and that whether he takes part or not depends on finding a formula for coordinating the other shows he has coming up with the dates of the Viña del Mar contest. Another performer confirmed for the 52nd edition of the festival, to be held between Feb. 22-27, is Puerto Rican singer-songwriter Luis Fonsi. The Viña del Mar International Song Festival is not only considered the most important in Latin America but its six-day duration also makes it the longest musical competition in the world.